Located in San Martín de la Vega, only a few kilometres from Madrid, the Parque Warner offers shows that surpass any seen before. Roller coasters, fun cinema studios and many surprises will amuse the whole family. Your kids will enjoy the company of Tweety, Sylvester and their friends. What more could you want? 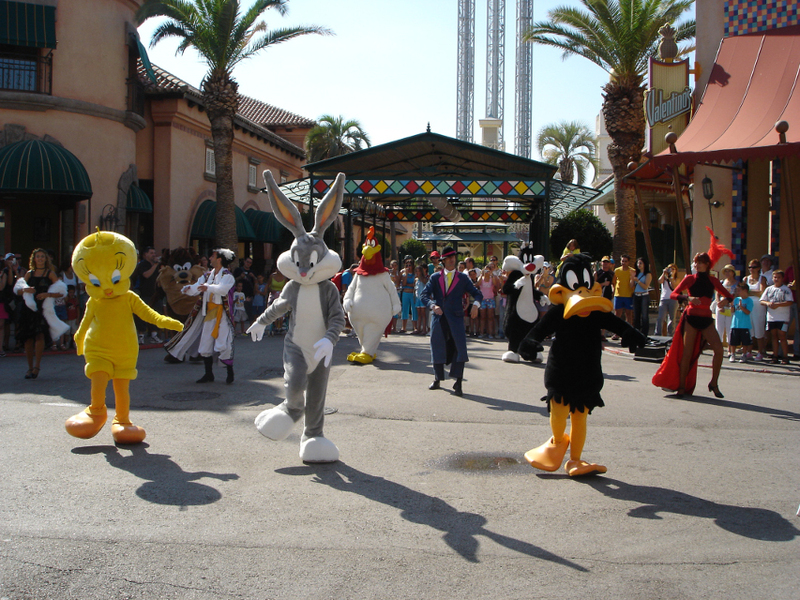 The Hollywood Dancers show has live music with actors, dancers and, of course, your favourite Looney Tunes characters. On Hollywood Boulevard there is a great variety of restaurants and shops, you will feel like you are in classical Hollywood. One of the most impressive shops is the “Great Warner Bros. Park Store”, where you can find a large assortment of gifts for people back home. After shopping, we had tea at the “Beverly Hills Bakery”; delicious cakes! And my kids danced with Daffy Duck and the Roadrunner in the “Hollywood Dancers” show. The park’s main street turns into the perfect setting for shoeshines, waiters and policemen to become true music-hall artists. What child wouldn’t love to visit Bugs Bunny’s house or have a go on the Daffy Duck ride? Tom and Jerry’s roller coaster, the capture of Gossamer or the fun water games in Cartoon Village attract thousands of little tourists. You can relax a bit in the Looney Tunes theatre after so much excitement and enjoy the adventures of their favourite characters. There is also a “Cow and Chicken” ice cream parlour, all themed around these likeable characters. There are continuously shows on in this area. One of the most amazing is the Police Academy Stunt Show, with explosions and surprises and even a helicopter, which will amaze the younger ones. If you want to find out all the secrets from behind the scenes, you can at the Hollywood special effects show. “The Haunted Hotel” is another of the star attractions, here you will be both terrified and surprised, thanks to the setting and a few frights here and there. In addition, the Lethal Weapon show gives you the chance to experience cinema-style chases and skirmishes. It really is worth seeing. 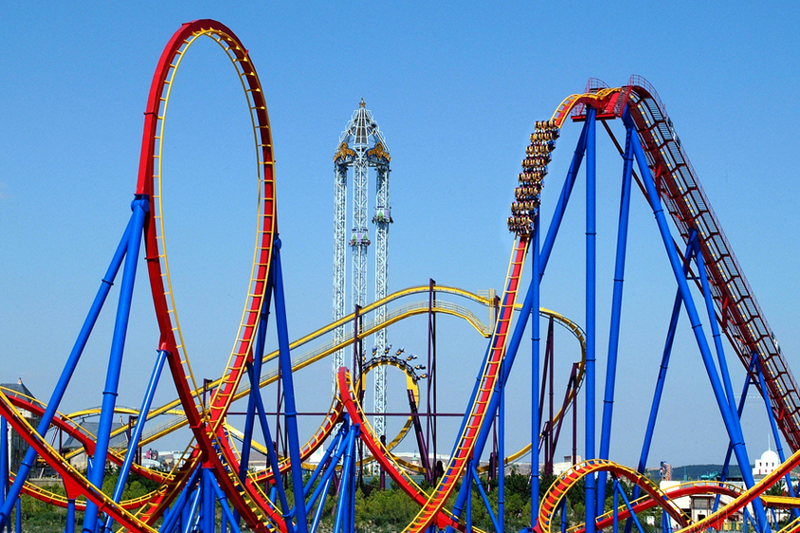 Let your adrenaline flow on any of the spectacular world-famous roller coasters. Anything can happen in Super Heroes World. 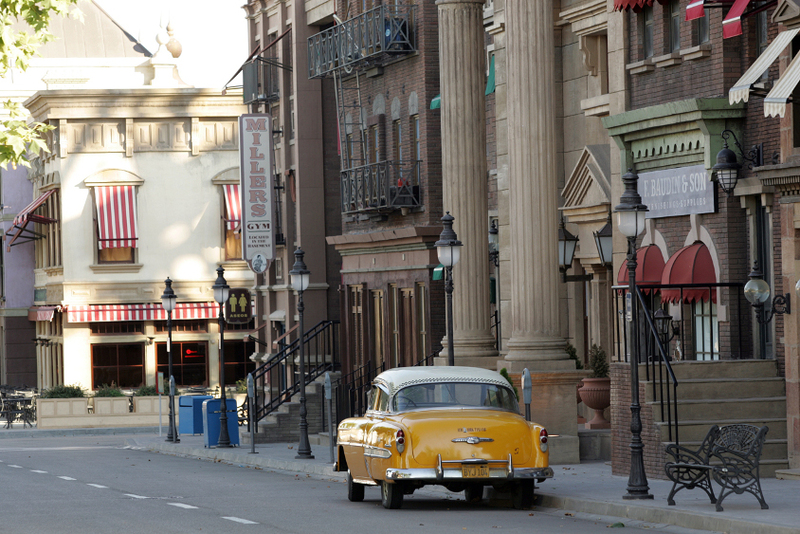 Movie superheroes like Batman or Superman put on their shows with fantasy-filled sets as backdrop. There are two huge roller coasters, Batman, “The escape” and Superman “The steel attraction”, to test those nerves of steel. Nevertheless, bad guys also win so there are areas dedicated to characters like Lex Luthor, Joker, Enigma or Mr. Freeze. One of the most exciting moments is the fight between the Joker and Batman and Robin; suspense will take hold of kids and adults alike. You will feel like a real cowboy in the Far West with these cinema-quality sets. One of the shows in Old West Territory is “The knife thrower” where Ali will challenge you to take part in his show, making you protagonists. There are several water rides such as “The adventure of the Rio Bravo” in an old goldmine or “The wild waterfall”, where we got soaked! But what my kids most enjoyed was the roller coaster themed in the Wild Wild West style. 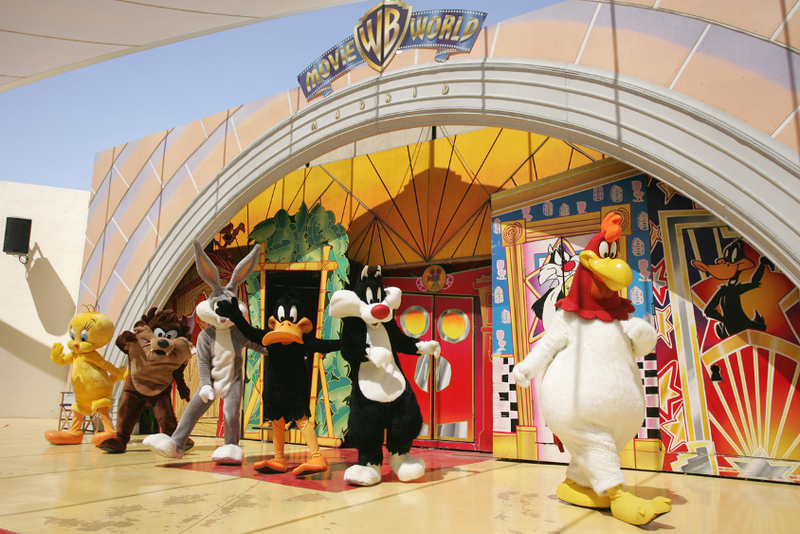 Cartoon Village is the World of the famous Looney Tunes characters, you are sure to feel like a real cartoon for a few hours..
We recommend that you arrive early so that you have time to enjoy everything in the park. You can buy roadrunner bracelets, which allow fast access to most rides, avoiding long queues. This is a good option, especially if you travel with kids. If you like excitement you can buy the season pass for 2009 that provides, in addition to entrance to the Warner Park whenever you want, discounts for Terra Mítica, Isla Mágica or Port Aventura. For the 2009 season there are new benefits, such as special prices in restaurants, shops or even for the Madrid Zoo and Selwo Marina. It is easy to get to the Parque Warner from Madrid, you can go by local train or bus, it’s up to you. If you choose to come by train, take the C3 line from Atocha towards Aranjuez and get off at the “Parque de Ocio” station. On Saturdays, Tweety and his friends will share your ride on a direct train that leaves from Chamartin station. If you prefer the bus, line 412, “the fast line” will take you to the park from Plaza Legazpi. One-day tickets for adults are £22 and for kids £14.50, if they are under 4 years old entrance is free. Over-60s have a reduced ticket for £14 and disabled people pay £9.50. There are also special offers and discounts, for example for large families.